Product #22013 | SKU AH-AP9458 | 0.0 (no ratings yet) Thanks for your rating! Made of water-repellent 113 g polyester, this black Dust Cover from Allen & Heath is designed to cover and protect your Qu-24 Mixer. 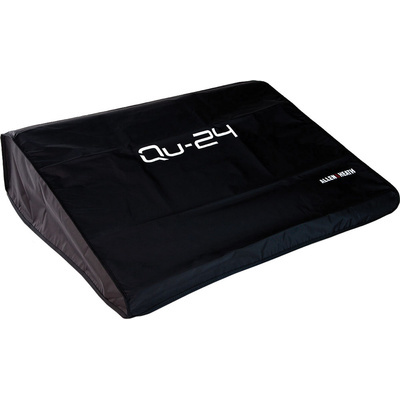 The top of the dust cover is adorned with the Qu-24 logo in contrasting white lettering.